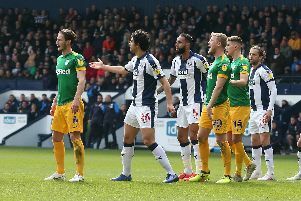 West Bromwich Albion supporters have adopted ‘The Lord’s My Shepherd’ hymn as a terrace song but it was Preston who needed divine intervention at the Hawthorns. 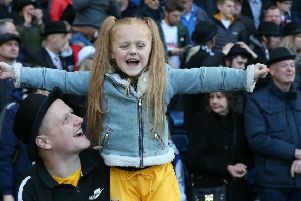 North End chose Gentry Day to produce their poorest display of the campaign, this only the second time in Alex Neil’s reign that four goals had been shipped. The Scotsman’s future was the backdrop against which this game was played. Albion’s interest in him went back a few weeks but it really bubbled to the surface in the build-up to this clash. 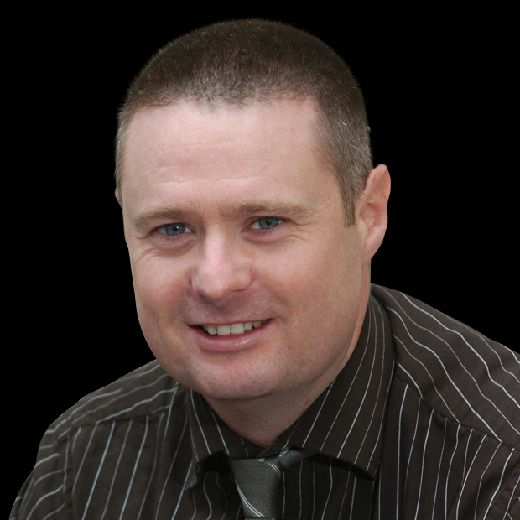 In the post-match press conference in which Neil had to be part-football manager and part-politician, he was to admit that the speculation linking him with the Baggies head coach vacancy had been a distraction to his players. It was speculation put to bed on Sunday lunchtime when he signed a new contract at Preston. Whether or not the talk linking Neil with a move away had affected his players, there was no escaping from the fact that North End were very much second best on the day to their hosts. Albion ran in three goals in a 15-minute spell towards the end of the first half which put the game to bed as a contest before the half-time tea. A fourth in the second half put another coat of gloss on the scoreline and put paid to any remote hopes that North End had of making the closing stages uncomfortable for the home side. PNE had shown a lot more spirit after the break, a case of too little, too late. Callum Robinson’s goal a minute into time added on was but a consolation. Incidentally, Preston’s last three goals have all come in stoppage time - Sean Maguire's winner against Birmingham, Jayden Stockley's consolation at Reading and now Robinson's late one. It is the Championship again for them next season, with any lingering hopes of catching the top six surely gone. Mathematically it is still possible but it would take a remarkable about-turn to close an eight-point deficit with four games to go. And anyway, just at the moment that winning feeling has drained out of North End. With his future now sorted, Neil can plan for next season and bid to improve on what they have done this campaign. He will be searching for more consistency from his side, the recent 12-game unbeaten run giving way to this current four-match losing run. PNE certainly played like their minds were elsewhere at times. Although Gentry Day doesn’t hinge on the result, a decent performance doesn’t go amiss to help the day go with a swing. North End’s faithful, all 2,752 of them, played their part on the day. Suited and booted, they made their voices heard and paid tribute to fellow fans no longer with us. A rousing rendition of ‘Hats off for the Gentry’ was sung with as much gusto in the closing minutes as it had been earlier in the game when the score was 0-0. They deserved to see better than PNE’s collapse in the final quarter of the first half. In that spell, Dwight Gayle and Jay Rodriguez, with Chris Brunt and Stefan Johansen in support, cut Neil’s men open. Goals in the 28th, 31st and 43rd minutes had the home side cruising. Against Sheffield United and Leeds in the other two games in the ‘week of destiny’, North End put up a fight and made their opponents work for victory. It was a little too easy for the Baggies and that is what annoyed the travelling fans. Neil made three changes to the side which had been beaten by Leeds, two voluntary and one enforced. Ben Pearson’s ban meant a recall for Ryan Ledson in the holding midfield role. Paul Gallagher and Stockley got starts in place of Robinson and Maguire, who dropped to the bench. Gallagher’s afternoon was cut short before half-time by Mason Holgate’s challenge which caught him on both shins. Robinson was summoned to replace him and was to spark some life into Preston after the interval – and not just with his late consolation. The first half proved to be something of a slow burner, Albion in control but without totally dominating. Declan Rudd, North End’s best player on the day, was out of his box quickly to kick clear from Johansen early doors, later tipping a Rodriguez shot over the bar. The hosts’ opening goal was the best of the lot, Brunt’s diagonal ball from a few yards inside the PNE half, sailing over the visitor’s back line. Ben Davies misjudged the flight of it, with Gayle peeling off behind him and catching it first-time to fire across Rudd. Albion’s second goal three minutes later was very much self-inflicted. Josh Earl did well to take the ball off Holgate and move a few pace up the left wing. But instead of playing the ball up the line, he chose to square a pass inside. Gayle intercepted, laid it off to Johansen who in turn picked out Rodriguez. Ledson slid in to tackle the ex-Burnley striker but the ball ran back into Gayle’s path and he fired low into the net. The Baggies made it three when Johansen’s pass found Rodriguez in space in the box and he lifted a shot past Rudd. Preston were better in the second half, Robinson and Maguire – a half-time swap for Stockley – working WBA’s defence a lot more. But a fourth goal came for the hosts in the 71st minute after Rudd had saved well to push a Gayle free-kick behind. Brunt’s corner was headed by Craig Dawson into the six-yard box where Gayle nodded home from close range. Robinson’s consolation started with him and Ledson linking up to play in Lukas Nmecha on the right. Nmecha toyed with his marker before putting over a low cross which Robinson put away from 12 yards for his 11th goal of the season. Josh Ginnelly, on for his PNE debut, was mistakenly given the goal by the official stats man at the game. It’s fair to say the weekend was a roller coaster for North End and their fans. With Neil’s contract done, now to push forward and finish the season strongly ready for 2019/20.